Tony Grove mostly worked alone to restore Dorothy. Dorothy is a lucky lady. 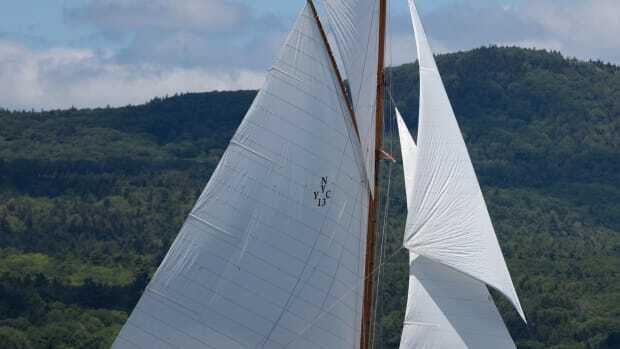 Her beauty and personality have kept her afloat for 121 years, and her status as the oldest registered sailboat in Canada ought to add at least another century to her life. Linton Hope, an English naval architect and keen sailor, designed the original Dorothy, a 33-foot keel/centerboard Thames Rater, in 1894. Thames Raters were born in the late 19th century and designed for the light airs of the Thames River in England. The Canadian version, also called Dorothy, but often referred to as Dorothy 1, was completed in 1897 by John J. Robinson of Victoria, British Columbia, for attorney Major W. H. Langley. A persistently leaky centerboard trunk caused Robinson to ask Hope about removing the board. As chance would have it, Hope had already modified the plans to a keel-only design. Langley successfully raced Dorothy for nearly 50 years. In 1944, Langley sold Dorothy to Linton Saver of New Westminster, British Columbia, near Vancouver. 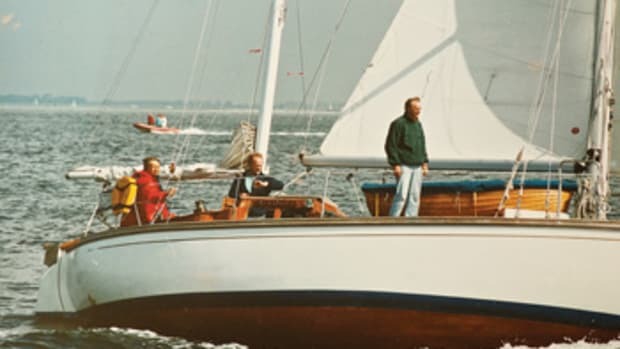 Twenty years later, after the boat had changed hands at least five times, Chuck and Pam Charlesworth, architects from Victoria, bought her, even though they found her sinking at her mooring. Such is Dorothy’s allure. The Charlesworths rebuilt her cockpit but left the sole undone, and they added sister ribs to reinforce the deteriorating originals. Most important to the life of a wooden boat, the Charlesworths regularly sailed her, as an idle wooden boat is a dying one. Sandy and Angus Matthews then joined the list of caretakers. Angus had been eyeballing Dorothy the way nautically obsessed folks often do, and asked Chuck Charlesworth for first dibs if he ever decided to sell her. Angus recalled what happened next in a video: “The whole process with Chuck was funny, because she was covered with an old canvas tarp at Oak Bay Marina. I was the manager of Oak Bay, and I took Chuck’s name off the board of the marina’s dock list so nobody else could talk to him.” The Charlesworths became good friends with the Matthews, so Angus pestering Chuck about selling Dorothy “was almost like asking him if you could marry his daughter.” The Matthews finally succeeded, buying Dorothy in 1973. 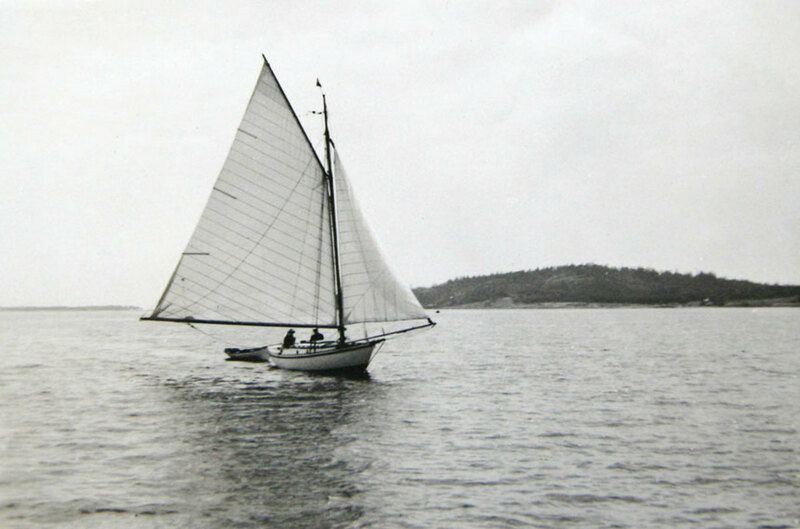 Dorothy is the oldest registered sailboat in Canada. 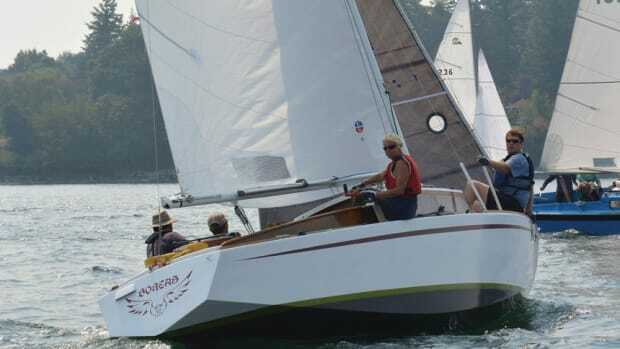 Dorothy fell on bad times after the owner of a private marina in Sidney, British Columbia, bought her and left her to the elements. 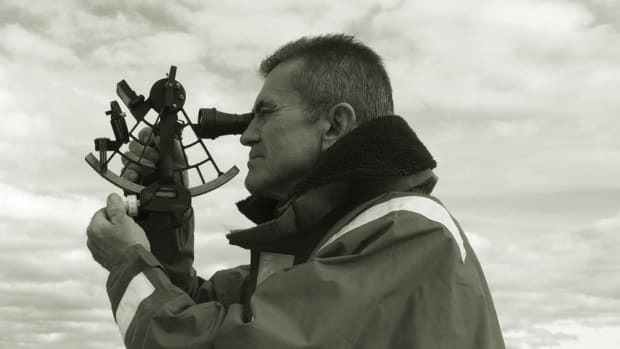 Hugh Campbell rescued her, restored her to sailing condition and, in 1995, donated her to the Maritime Museum of British Columbia, her current home. The trustees debated the options: do nothing, completely restore her or simply preserve her. Tony Grove, a shipwright, fine artist and teacher, was commissioned by the museum to restore her in the best way possible. He has stripped the paint, reefed the seams between the planks, installed new bronze keep bolts, new floors and a host of other chores. He mostly works alone. 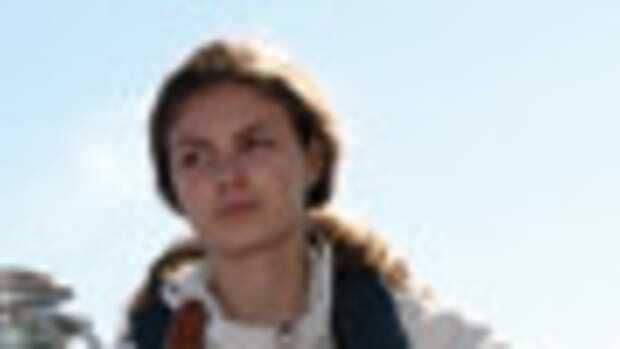 “[It’s] kind of a boatbuilder’s dream and an archaeological dig at the same time,” Grove said. The launching date remains under discussion, and the entire project relies on contributions along with money earned from the sale of Dorothy swag. So far, the red cedar for planking and the oak for frames cost about $75,000. Until Dorothy is ready for tours, the best way to see her is in the documentary that’s being filmed. Trailers can be seen at dorothysails.com and Grove’s blog about the restoration is at tonygrove.com. Or, visit the museum’s website, mmbc.bc.ca. 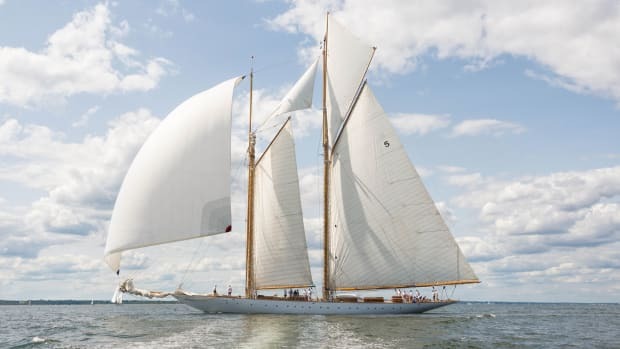 Lucie, an International 6 Meter racing yacht designed by Clinton Crane and built by Henry B. Nevins in 1931, wears sail No. US55 and is a sight to behold as she slips through the water. 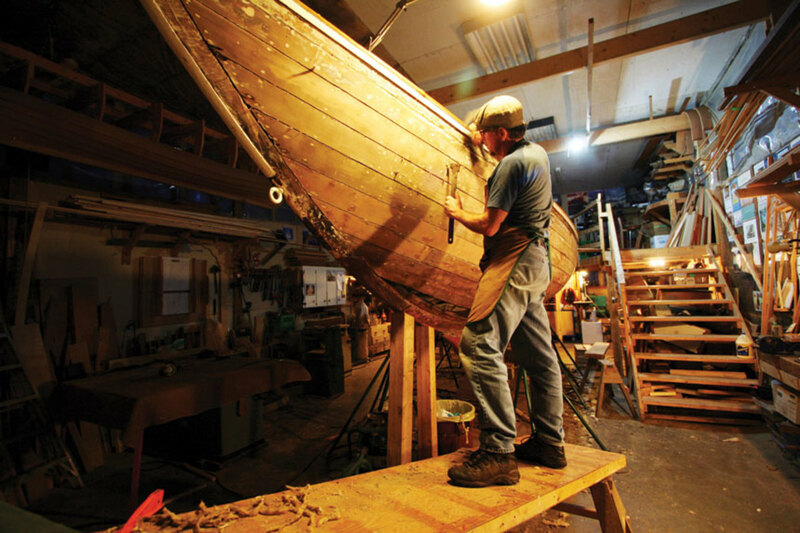 The Herreshoff Marine Museum in Bristol, Rhode Island, celebrates the gorgeous and ground-breaking designs of Capt. 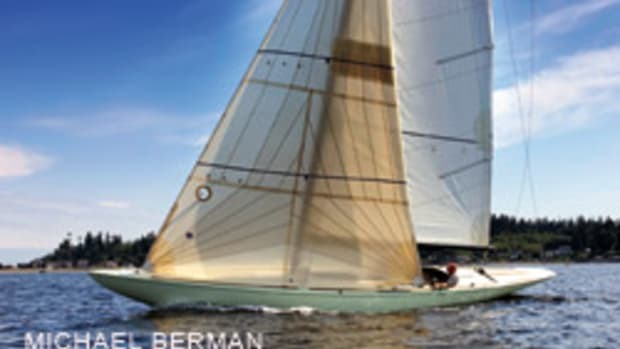 Nathanael Greene Herreshoff. 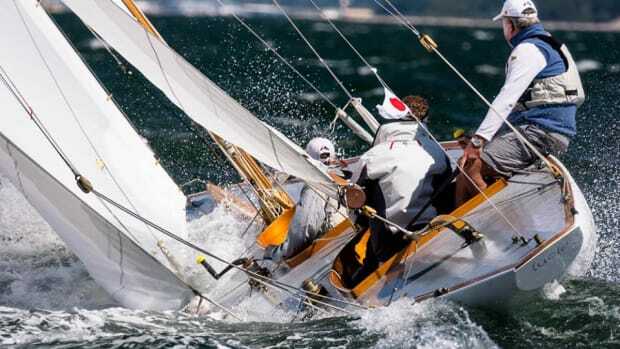 “More than just a sailboat … a way of life.” That’s the motto of the International Thunderbird Class Association. 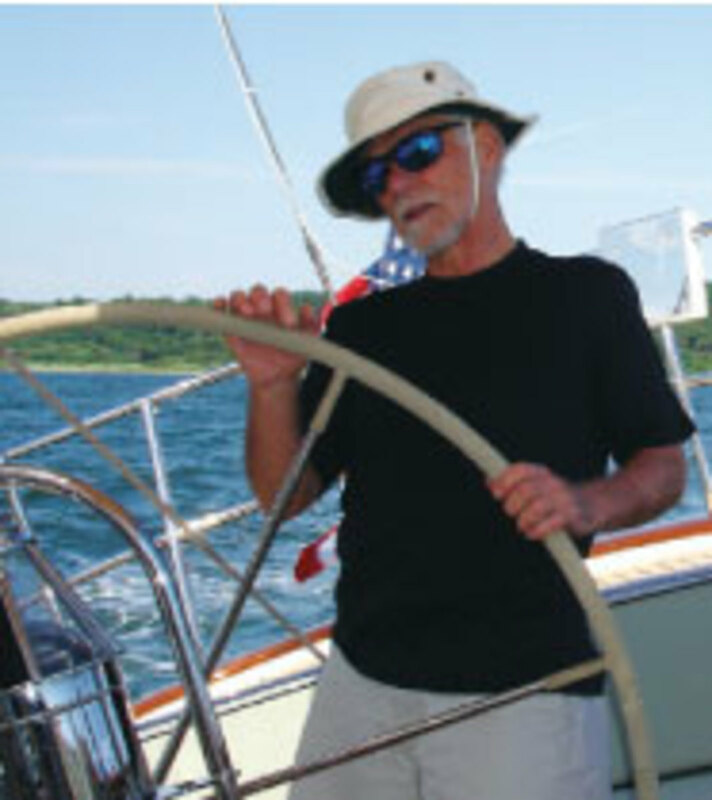 Marilee is one of six New York 40s still living, sailing and racing. The yachts of this class were the Duesenbergs of the sea, representing a high point in the Golden Age of Sail. Each remaining NY40 is precious.